I have been getting several calls lately where customers are claiming that when they go to plot their drawing, the existing contours don’t show up in the preview, or the plot. Ever heard of Level of Detail? 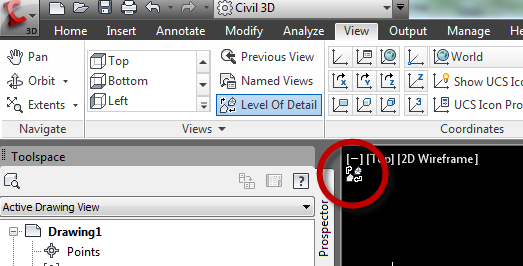 This is a new feature of Civil 3D 2012. 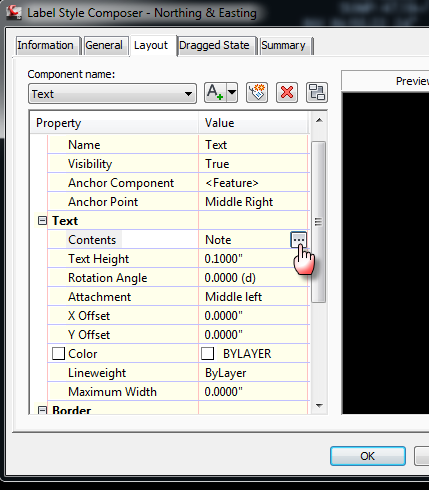 This feature controls the amount of detail used to display surfaces. If this feature is turned on, then your existing contours will not show up in your plots or plot previews. So, in order for it to show up, you must turn your Level of Detail off. Keep in mind, this is exclusive to Layouts. If you print in model space, it’s fine. This only happens in paper space. Released yesterday in Fortune magazine, Autodesk was placed at No. 52 for the top 100 places to work for. 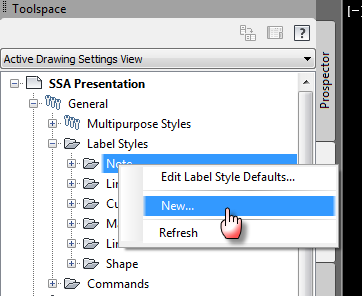 As more and more people start using Civil 3D to its full potential, the need for more custom labeling increases. Most of these people don’t know about the power of some of the labeling under the General section in the Settings tab of the Toolspace. Under the General section, Label Styles, there are a few options that most of you are unaware of. For instance, the Note section. I had a customer call me today and wanted to know how to create a label for Northing and Easting without having to create a point. 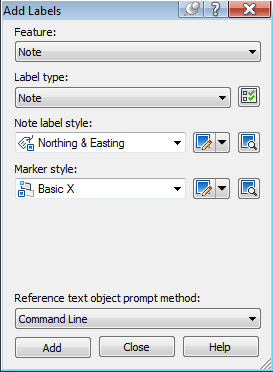 It’s very simple…you create a label under Note. The Label Style Composer will open up. Here you can give it a name. In this case, I will call it Northing & Easting. On the Layout tab, turn off the border around the text and set up the text properties to your liking. These ARE dynamic. So if you move them, they WILL update accordingly. Enjoy playing around with the many options you have under this section and check back soon for more updates! !